These photos were taken during our visit to the Calgary Stampede in July of 2011. Thank you to Denise Pezderic for her photo contributions. These photos were taken during our visit to the Mane Event in 2011. Thank you to Denise Pezderic for her photo contributions. 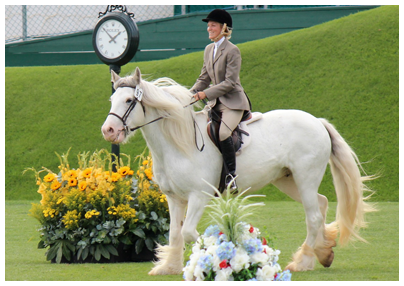 These photos were taken during our visit to the Spruce Meadows Master's Tournament in September, 2010. These photos were taken by Fallon Nygaard during our last visit to the Calgary Stampede. Fallon is the youngest of the Nygaard clan, and one who definitely carries the artistic gene. She is talented in photography, drawing, painting and writing as well as horse back riding. Fallon’s viewpoint of life on the ranch and her love for horses lends an intriguing perspective to her photos and we are proud to share some of them with you. We look forward to seeing more in the future! John Stephen was born in 1954 in Cynthiana, Kentucky, and studied art and photography at Gerogetown College. 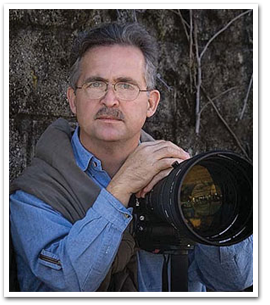 Working for the Commonwealth of Kentucky as a photographer starting in 1975, he then began an independent career in 1979, operating a studio and art gallery in Georgetown. Since then he has persued the fine arts and exhibited many paintings, sculptures and photographs, focusing in 1994 on equine themes. His first book, Gypsy Horses and the Travelers' Way was a major influence on our site and provided many of the pictures spread throughout. 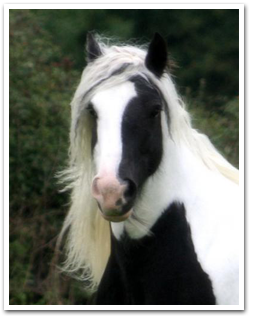 We thank John Stephen for all his support and the use of his wonderful and romantic photographs of our favourite breed of horse. 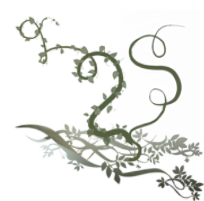 Judy is a Saskatoon based artist and photographer, specializing in animal and nature subject matter. Over the years she has worked in a variety of media, but since the advent of digital SLR cameras and Photoshop, her emphasis has been on photographic works. We look forward to more from Judy in the future. 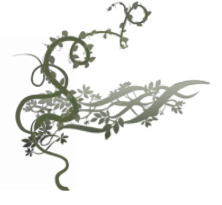 Valerie lives in Saskatoon and has been a professional artist part-time since 1979. In 2000, she left her job in television with a CTV affiliate to paint full time. In 1992, she gratefully accepted the 1992 Gordon Barton Memorial Award for Best in Show. 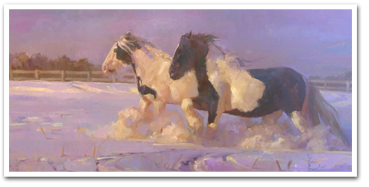 She attributes the AAEA for giving her the start she needed in the equine art world. Valerie has graciously used some of our herd for a couple of her paintings, featured here. In addition, many of her photographs used as ideas for her artwork have also been included on this site. Many of our original photos were taken by Clononeen Farms. 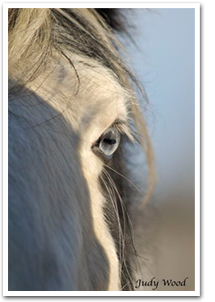 We wish to thank them for all their help and support, both of our wonderful horses and for this web site. We promise to make you proud! These photos were taken during our visit to the Spruce Meadows Master's Tournament in September, 2009. Gina is a professional photographer based in Saskatoon, Saskatchewan. She specializes in wedding and lifestyle photography for both local and international coverage. Her style is a combination of documentary, fashion and fine art. Her work has been featured in many wedding publications, and has won photo contests for the Wedding industry in Saskatchewan, Canada and internationally. 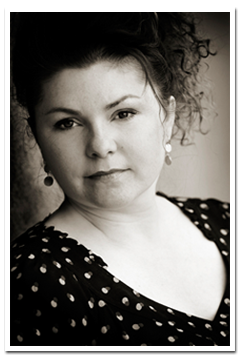 Gina is an active member with the Professional Photographers of Canada (PPOC), Saskatchewan (SPPA) as well as Wedding and Portrait Photographers International (WPPI). She has been awarded 12 National Accreditations in one year – the most in written record ever in PPOC. 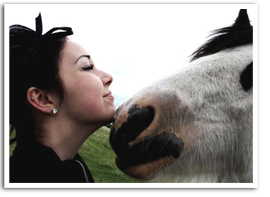 Gina fell in love with our horses (and our youngest family member) and asked our permission to enter them into an international photo competition. We’ve chosen some of our favourites to share with you here. 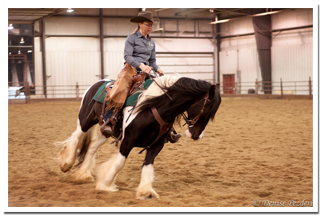 Jackie Johnson has been training her horses to bow, lay down and sit up for most of her life. 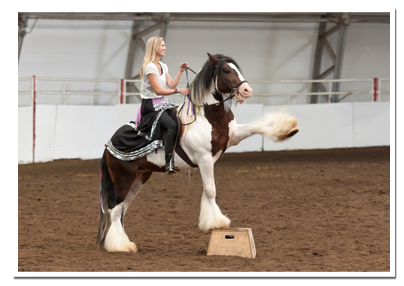 In the spring of 2004 she put her training notes and experiences into the book "Step By Step Trick Training" offering an educational and detailed look at trick training which can be appreciated by horse owners at every level. Johnson's twenty-first century training methods are used in many countries, and in 2007, she spent extensive time working with the equine stunt crew and horses of the Pennsylvania Renaissance Faire. 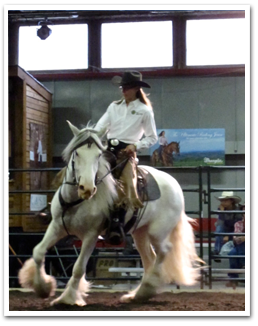 Entertainment appearances, numerous trick training clinics through the US and Canada, and stunt work for the film industry with movie credits such as "The Chronicles of Narnia" and "The Englishman's Boy" are all part of her passion for horse training. 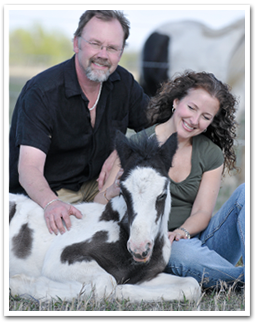 North Fork Cash is presently training and travelling with Jackie to various clinics during 2010 and we are proud to have him represent North Fork Gypsy Cobs with this talented and versatile trainer. They call Saskatchewan “The land of the living skies”. The sun rises and sets in vibrant colors on the horizon of the prairies, which seem to go on forever. It is with this backdrop that our Gypsies present a breathtaking and beautiful picture that only God could have created. Hopefully we can share some of that beauty with you through our pictures. Starting from the very first 6 horses we imported from England our philosophy has been simple and consistent...start with legends and build from there.